Galatasaray midfielder Bruma has admitted that he would be honoured to work with Jose Mourinho at Manchester United. The Portuguese Under-21 international has been linked with a switch to Old Trafford several times, and has also caught the eye of North London clubs Arsenal, Tottenham Hotspur, and Chelsea. However, despite the interest from other clubs, he has admitted that he would love the chance to work with fellow countryman Jose Mourinho. “Any player would love to work with him [Mourinho],” Bruma told O Jogo. The 22-year-old is currently going through a purple patch, and is enjoying a rich vein of form. He has managed to find the back of the net four times this season, while also picking up three assists in twelve games for Galatasaray. According to The Sun, the winger has caught the eye of Jose Mourinho, who is said to be keen on making a bid for the youngster during the January transfer window. United have been lacking in the creativity department with Wayne Rooney’s form fluctuating and Anthony Martial failing to replicate the form that endeared him to the United faithful and made him such a crucial part of the side last year. 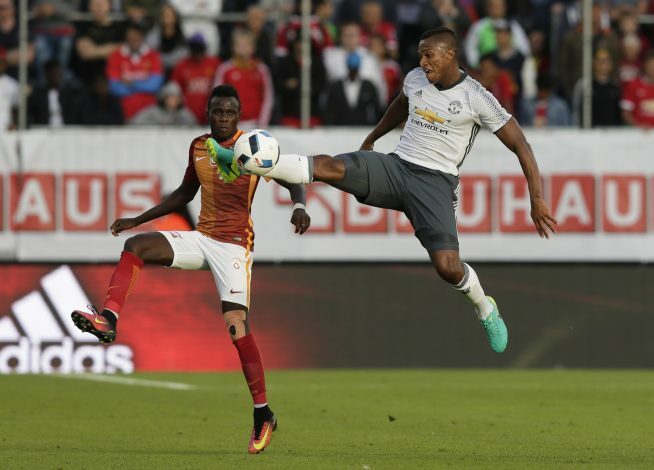 Galatasaray have noted United’s interest, and will not let the Portuguese winger go cheaply. They are reportedly demanding a fee in the region of £30 million for Bruma, and the Red Devils will have to splash the cash in order to acquire his services.